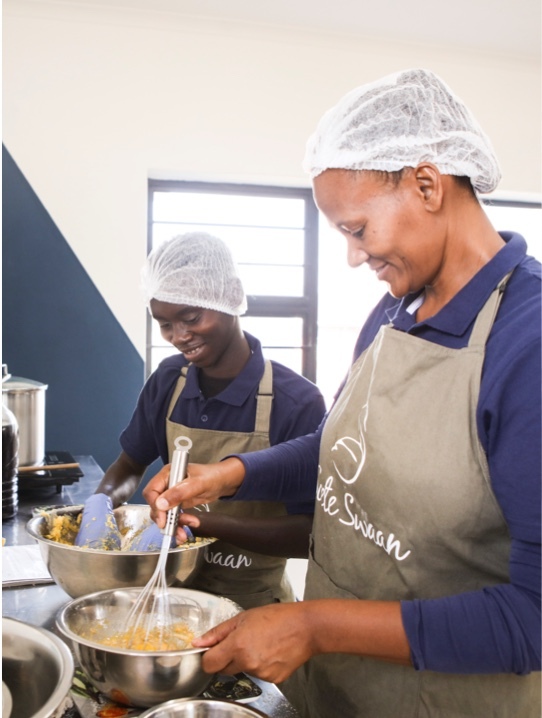 We produce handmade stroopwafels with all local ingredients in Jeffreys Bay. This delicious treat originated in the Netherlands but has gained worldwide fame. Everyone loves that crunchy exterior with the lovely syrup on the inside, that almost trickles out when you buy it freshly at our stall. 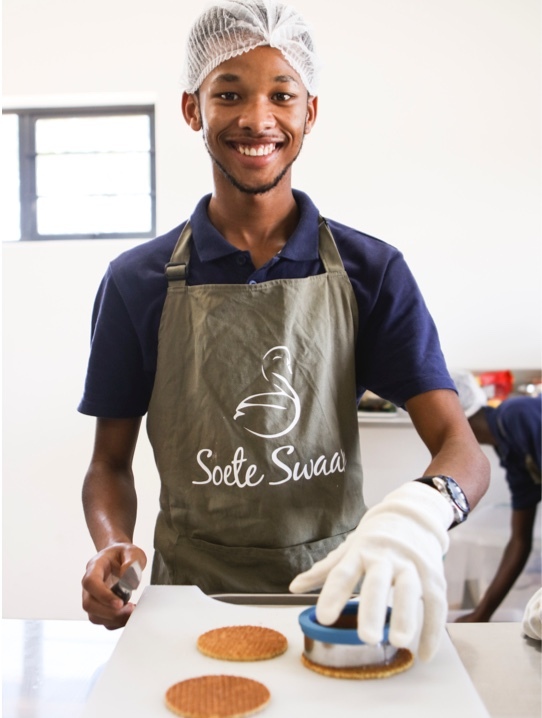 These stroopwafels are handmade by youth from the Victory4All Skills Centre in Humansdorp. 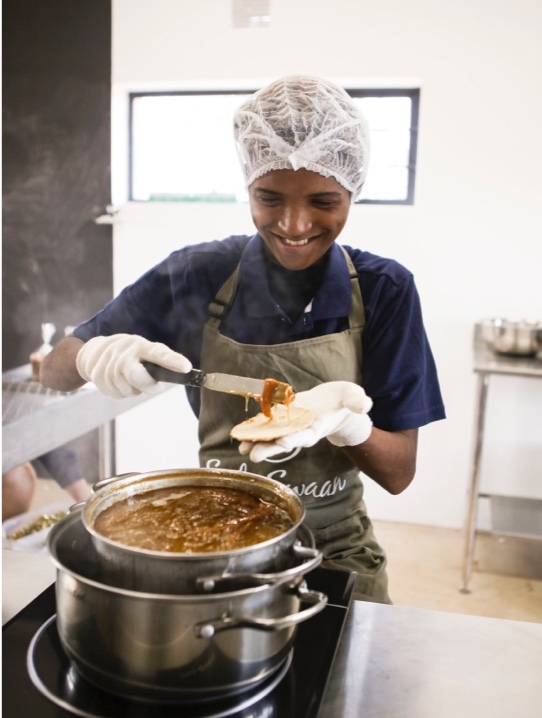 These young people are battling setback in their lives due to learning or mental disabilities, which gives them a distance to the labour market. Read more about our story or find out where you can find us. At the Victory4All Skills Centre we work with young people who have a disability or have fallen behind in school. Unfortunately, this give them a distance to the labour market. We teach them work and life skills and eventually try to help them to get a job. 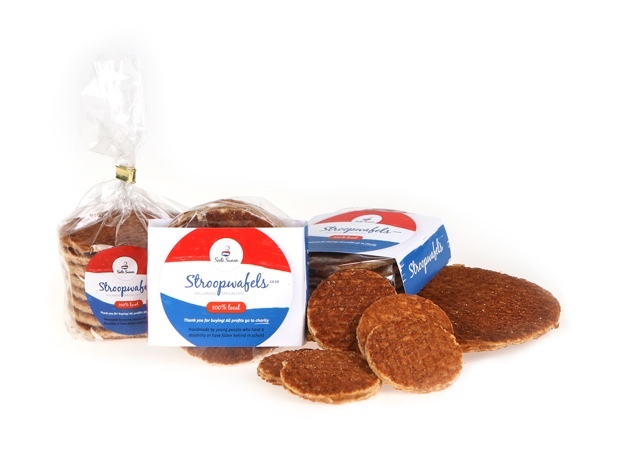 Next to finding them existing jobs, we started this stroopwafel business to offer a few young people a work place. Your purchase is a direct investment in these young adults, because thanks to this work place, they have a better perspective on their future. Thank you! 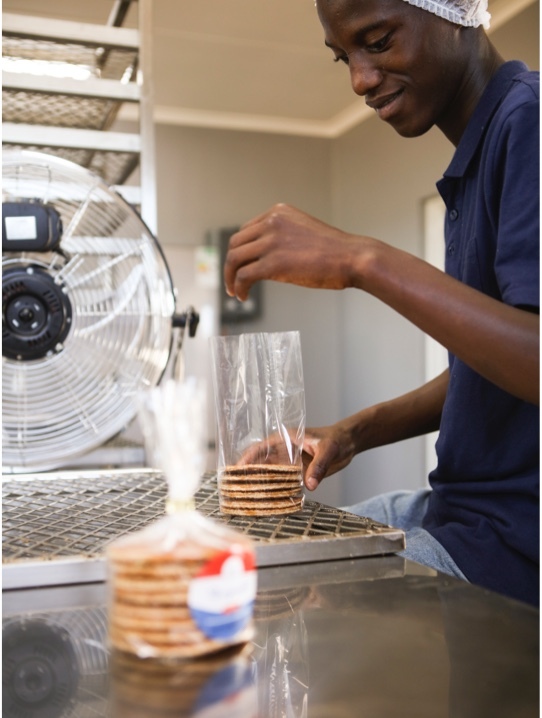 The stroopwafels are produced by hand at our production facility in Humansdorp. We only use fresh and local ingredients to ensure the best quality and flavour. By doing so we also support local businesses as much as we can. We strongly believe in creating opportunities for everyone through business. We’re trying to help young people to build their lives, but we also want to support the shops who decide to sell our stroopwafels. We would love for you to join our mission and make a good profit while making a difference. 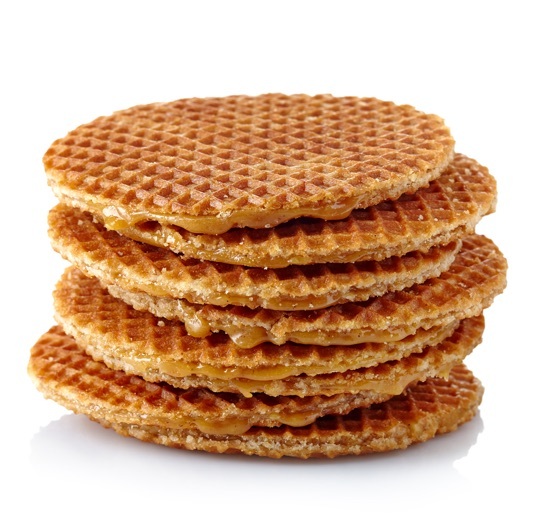 We love to hear how we can delight you with our stroopwafels. Leave us a message down below or give us a call! You can also reach us through social media.